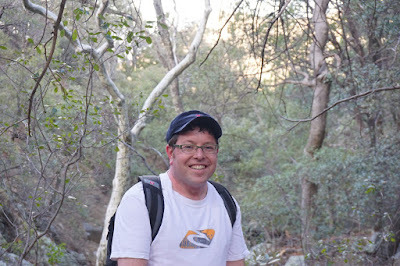 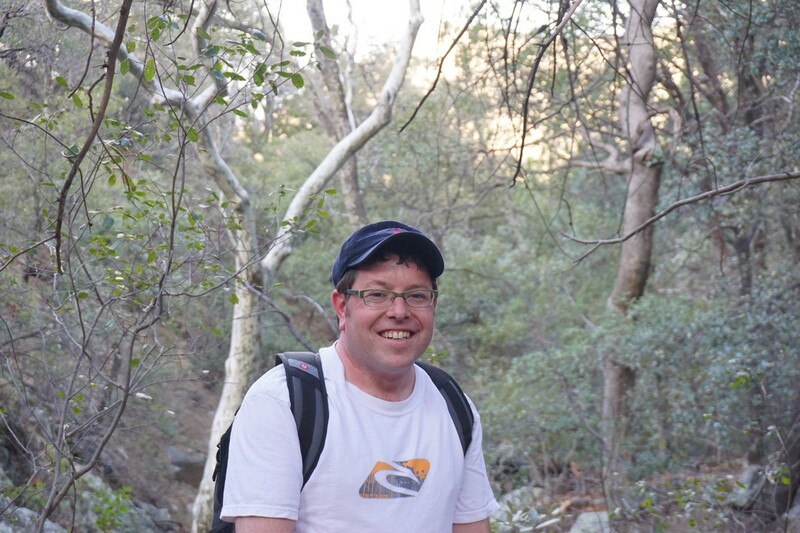 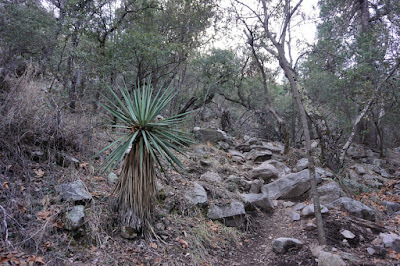 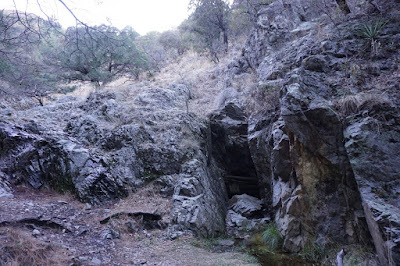 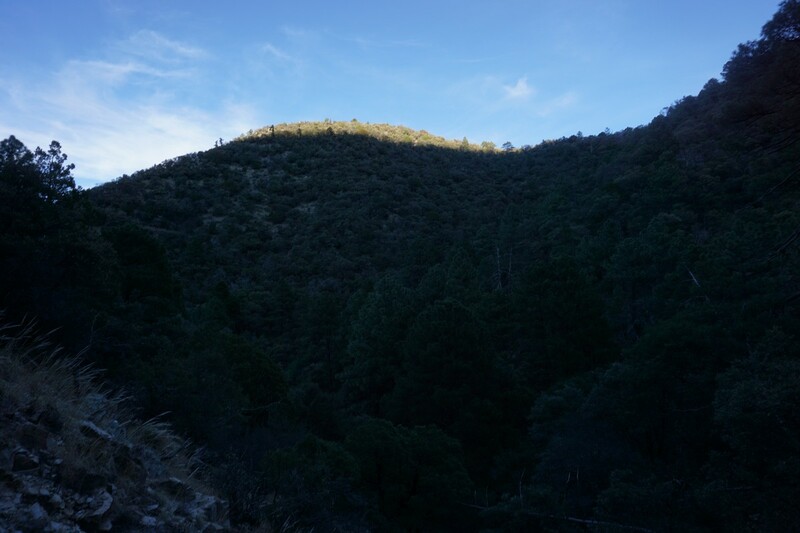 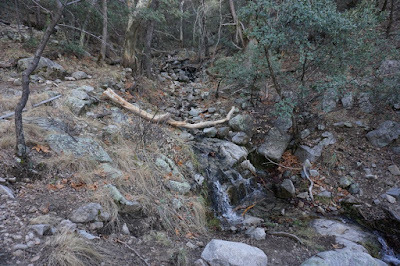 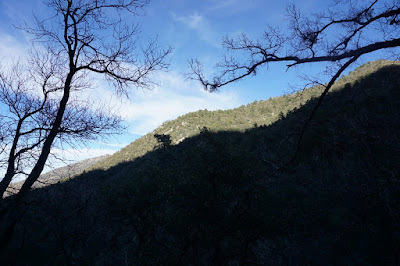 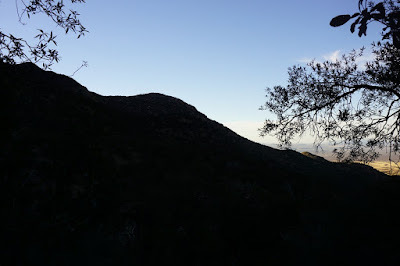 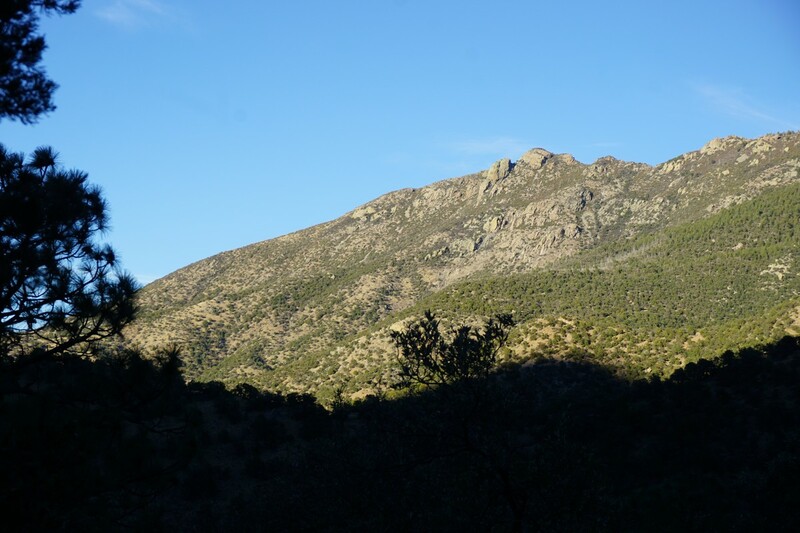 I had been in Arizona for a tradeshow, and after finishing the events at about 3:00, I headed out to Madera Canyon for for a beautiful hike. 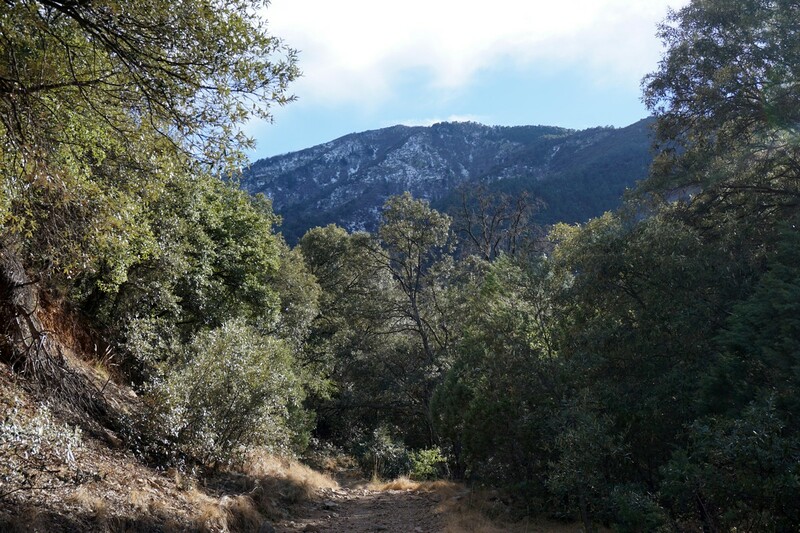 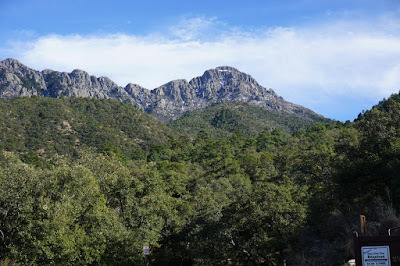 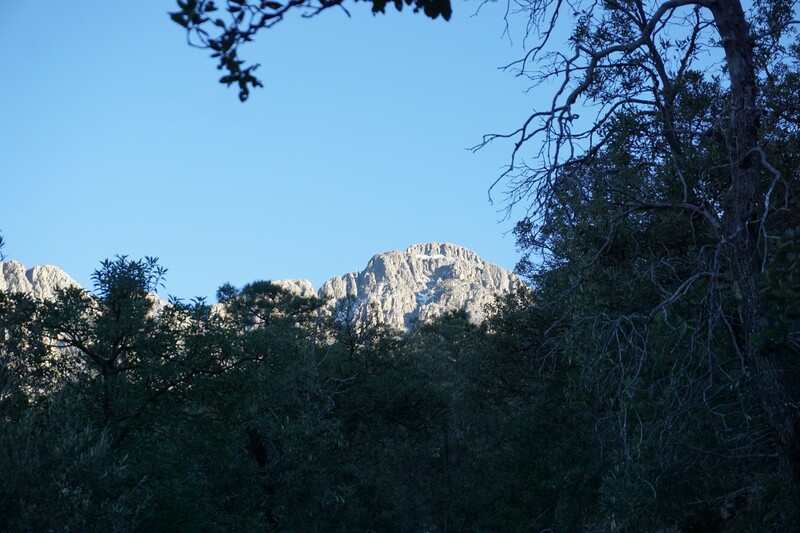 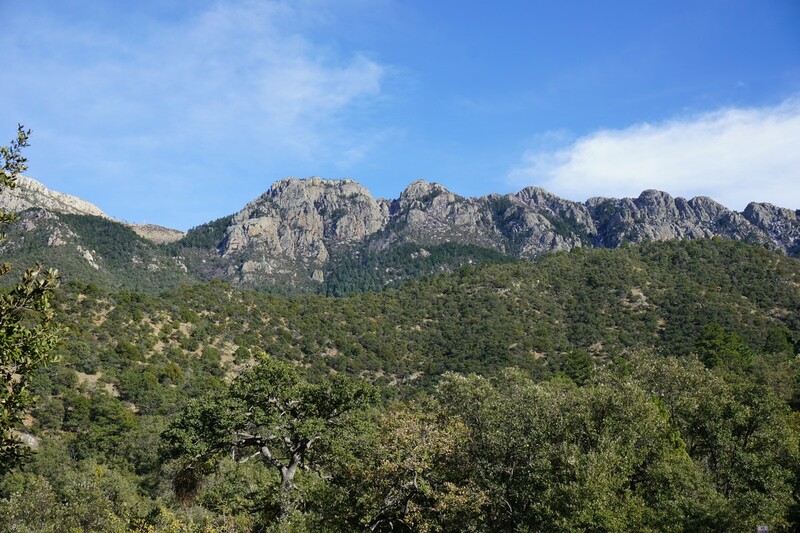 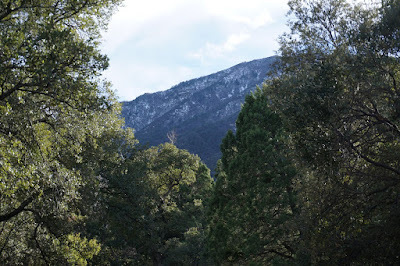 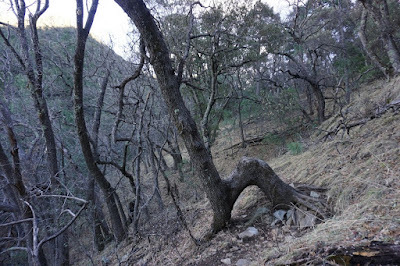 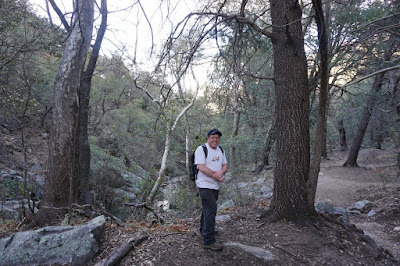 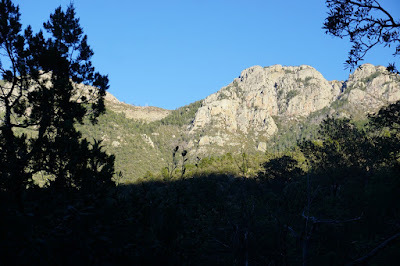 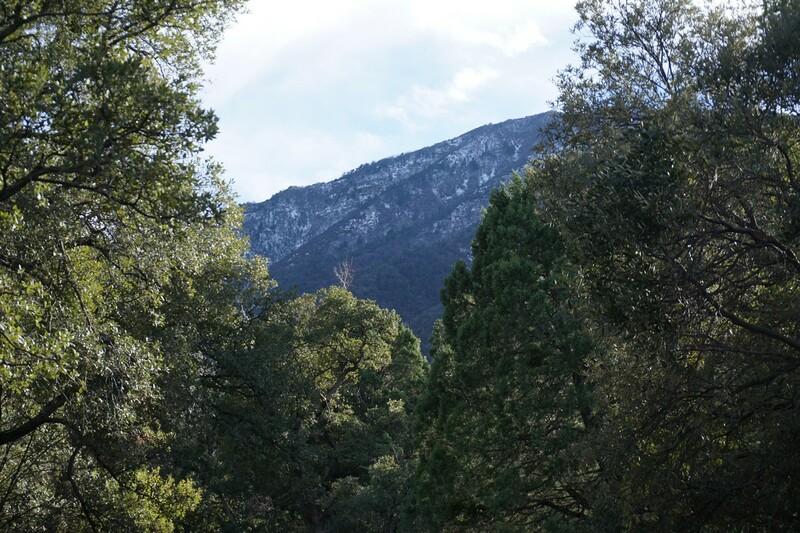 I had heard about how scenic Madera Canyon is. 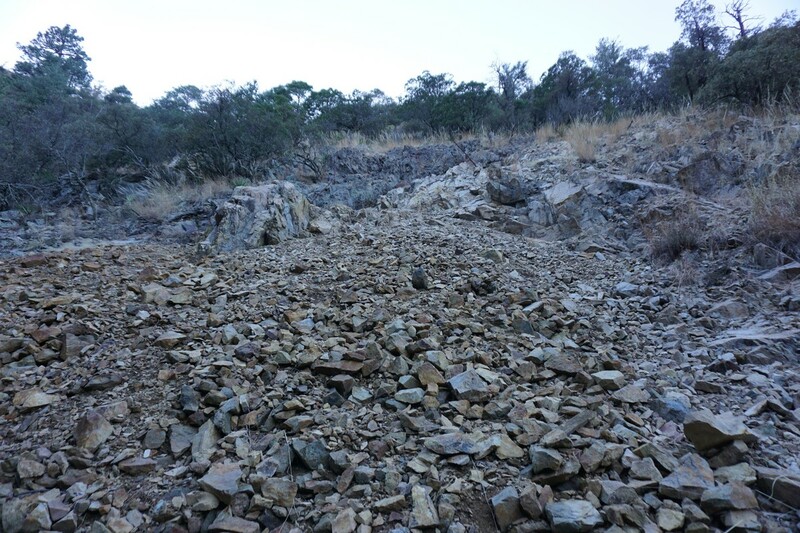 There is a road that starts at the foot of the mountain and climbs through the canyon until the area is an nice forest with a flowing stream in the middle. 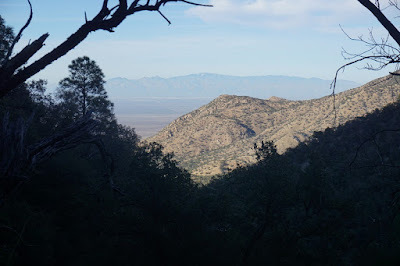 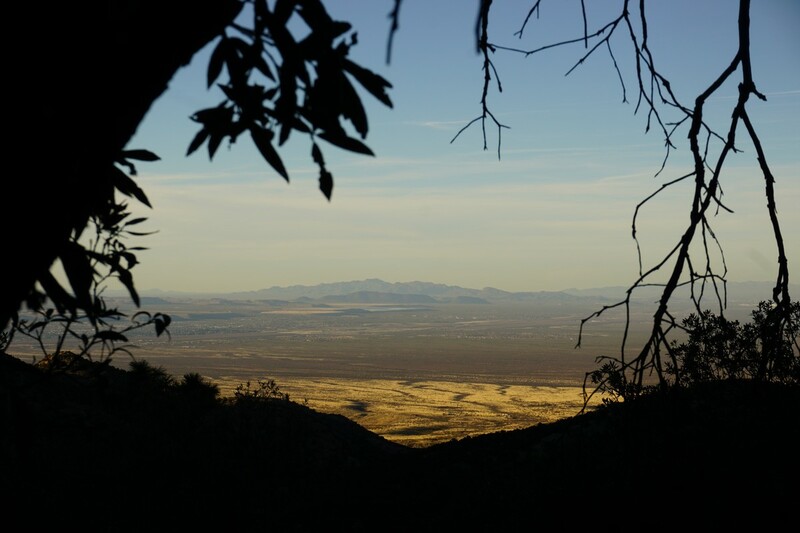 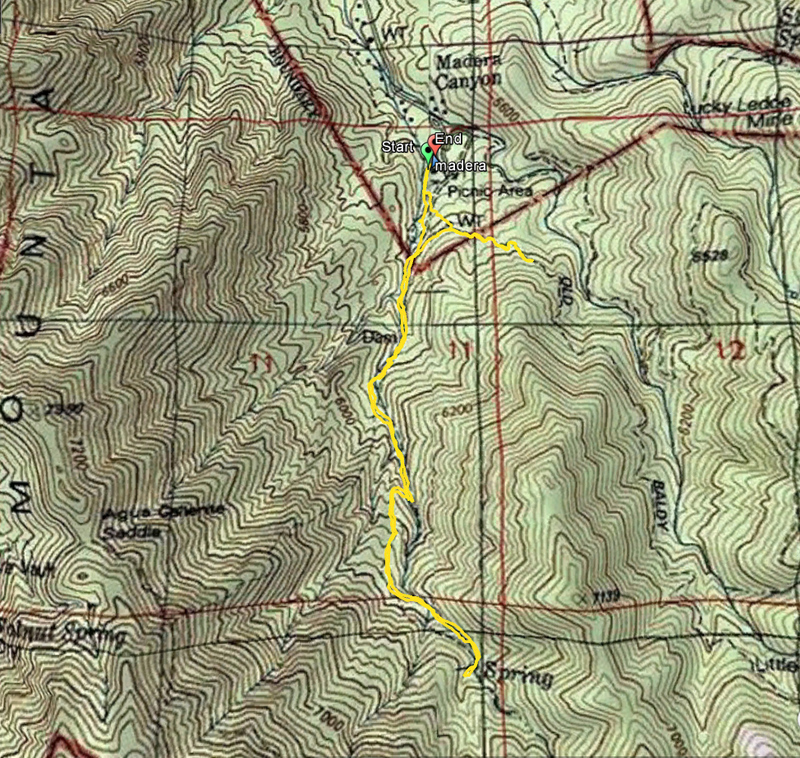 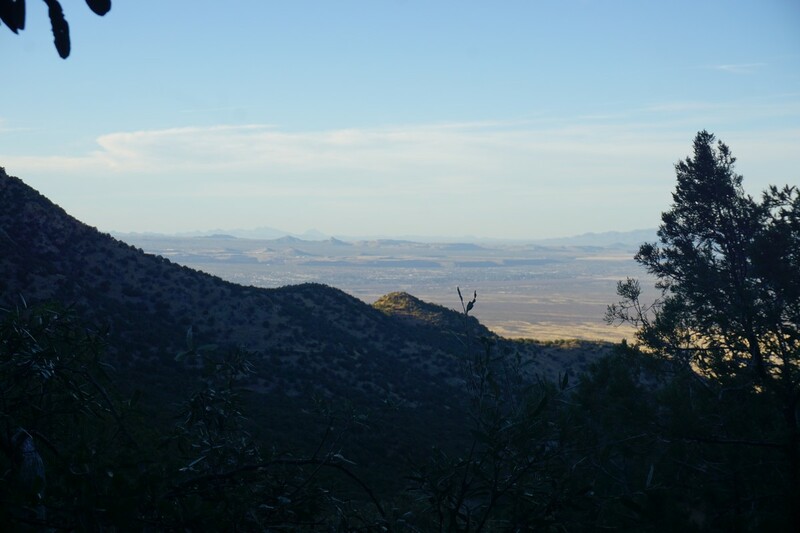 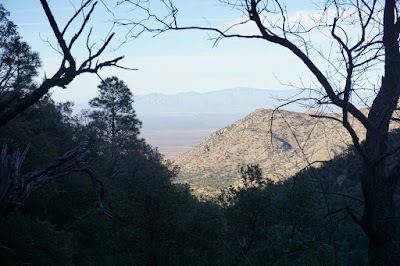 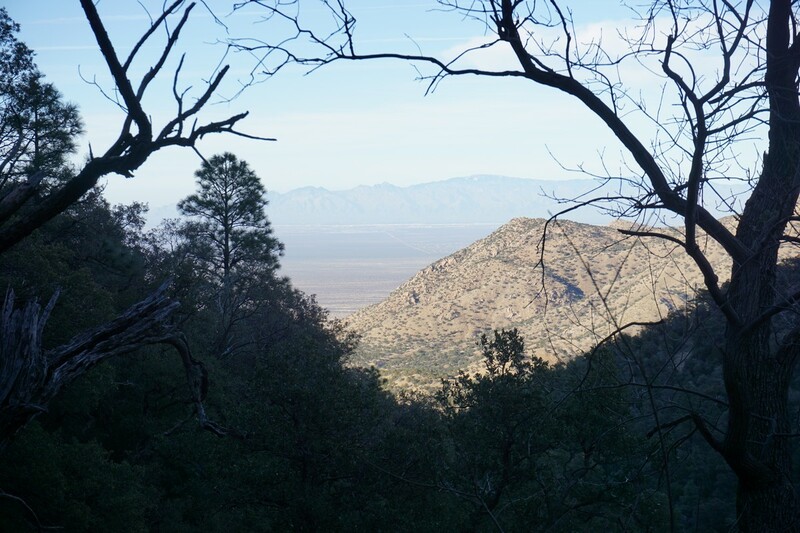 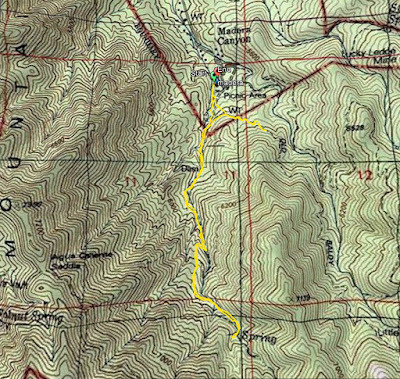 I drove up the road to the dead end, where there is plenty of parking, and took the Carrie Nation Trail up through the deep canyon floor along the stream on the Carrie Nation Trail. 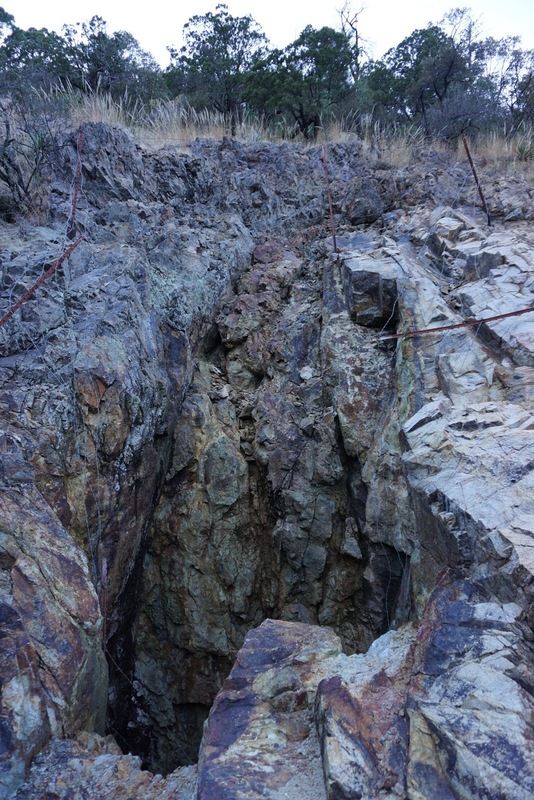 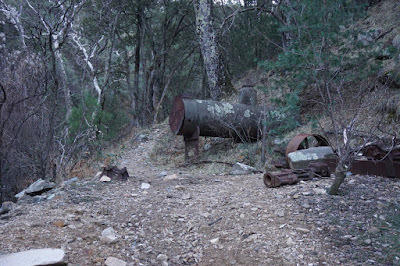 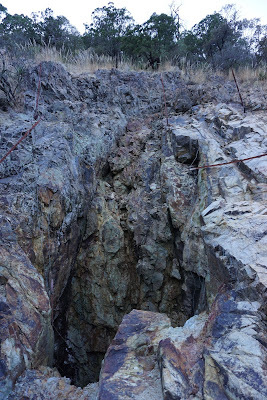 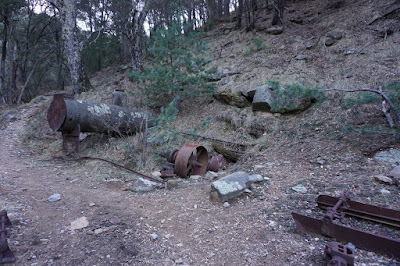 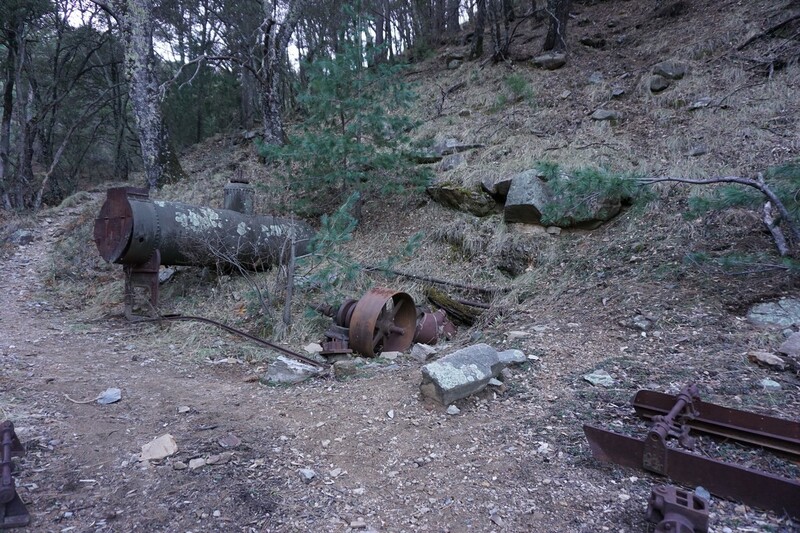 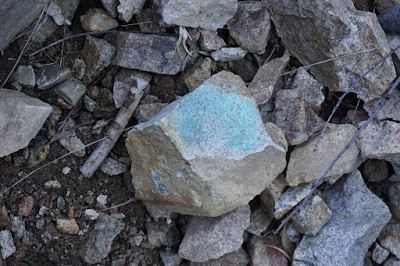 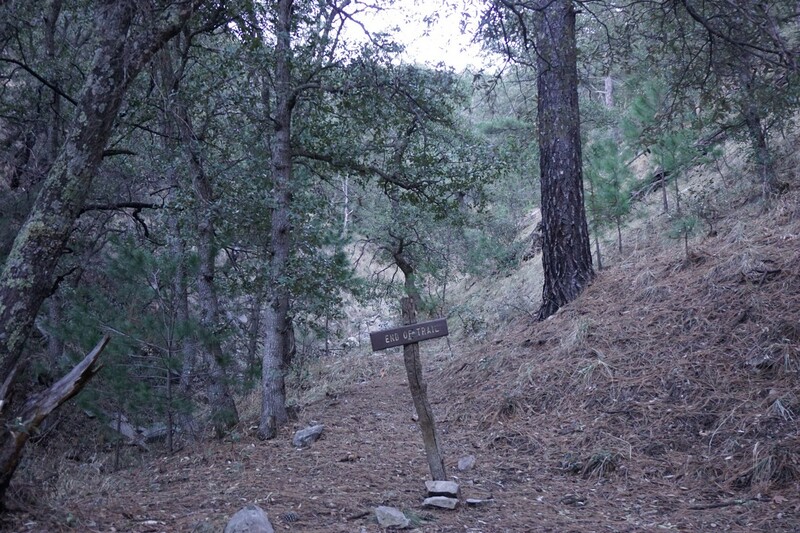 This trail ends at the Carrie Nation Mine, a large mine on the side of the mountain that contains many old relics. 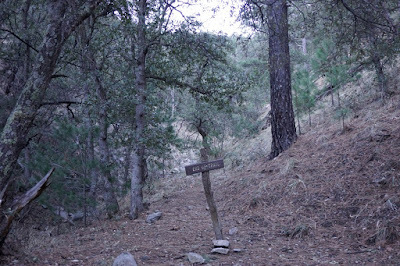 I turned around at the end of the trail, going back the same way, though detouring slightly towards the Old Baldy Trail for another view and then bushwacking down from this point (the map shows another path going down here to the parking area, but I couldn't find it.